Compact Tractors Designed Around You: If you have a large property and a wide variety of chores, step up to a deluxe Boomer™ Compact Tractor. 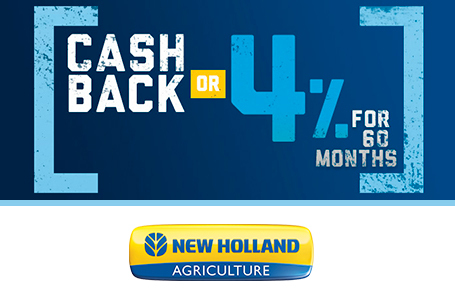 Regardless of the horsepower, transmission, or operator package you choose, you'll find Boomer tractors are free from clutter and are easy to operate. Their exceptional power, maneuverability and simple maintenance make them ideal for homeowners, landscapers and part-time farmers alike. 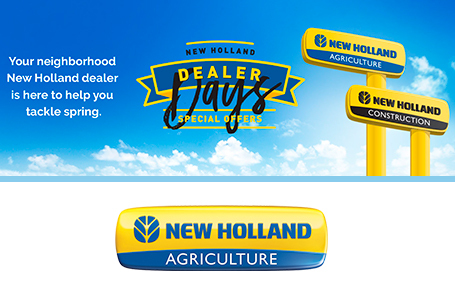 Handle A Multitude of Jobs: New Holland offers dozens of attachments and accessories so you can use your Boomer tractor to handle a variety of jobs. You can mow the lawn, handle yard chores, till the garden, clean stalls, plow snow, or move dirt or bales. Higher Power and Performance: Whether you use your tractor to maintain a few acres of land or you depend on it to make a living, Boomer™ compact tractors will deliver. In all, there are five models ranging from 35 to 55 horsepower. As a rule of thumb, the more work you do in a typical week, the greater the horsepower you’ll want. The Power of 55 Horses In A Compact Package: Topping off the Boomer Series line-up is the Boomer 55. 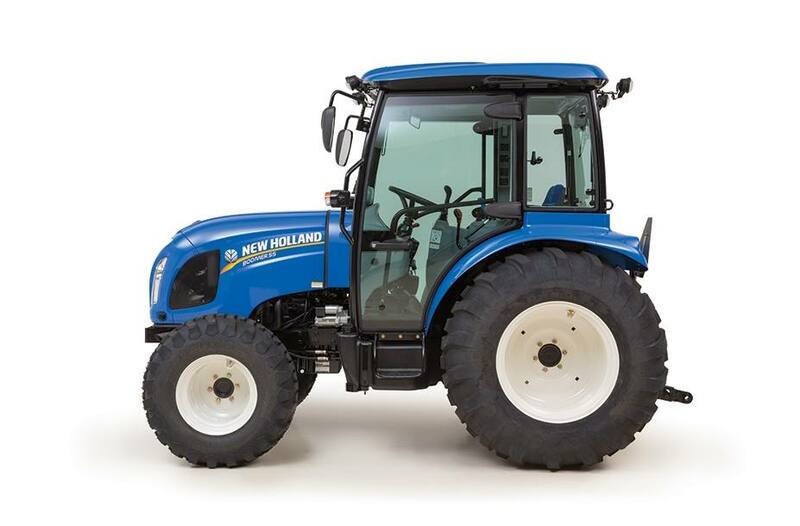 It delivers higher horsepower—55 gross horsepower—without additional weight for maximum performance and productivity. This higher power-to-weight ratio also means the Boomer 55 provides the advantage of lower ground pressure to reduce compaction and turf damage. Every Boomer Model - More Power with Less Fuel: Turbocharged, electronically controlled, common-rail direct fuel injection increases the power, torque and fuel efficiency of Boomer engines, while complying with stringent Tier4B emissions regulations. A Completely Automatic Emissions System: Boomer™ engines meet tough Tier 4B Final emissions standards with automatic emissions treatment systems that use a combination of internal Exhaust Gas Recirculation (EGR) and a Diesel Oxidation Catalyst (DOC) with a Diesel Particulate Filter (DPF). Constant Engine Speed Made Easy: With Engine Speed Management, you can set, save, and recall an engine speed with the push of a button. This feature simplifies your work with PTO-operated implements by maintaining a constant engine working speed for you. 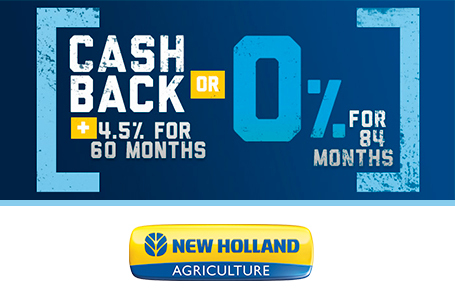 It’s a feature found on larger New Holland tractors, and now it’s a standard feature on Boomer compact farm tractors. 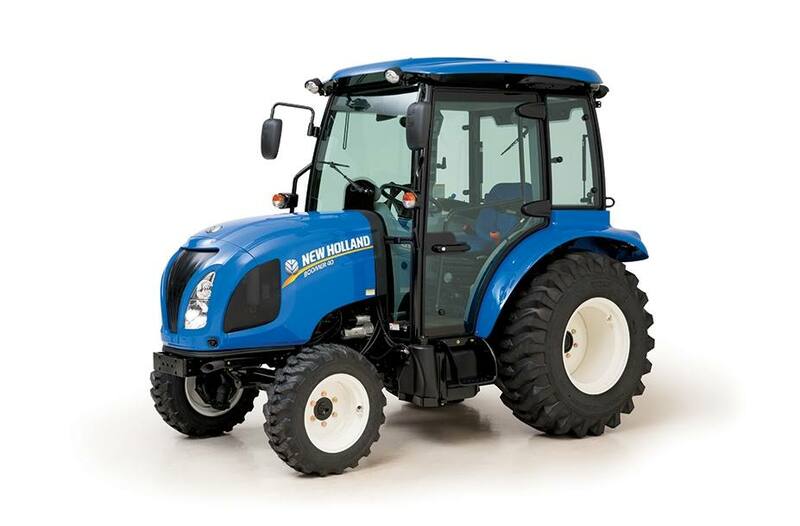 Exceptional Drivetrain Efficiency: To make you more productive when using implements powered by the rear or mid PTO, Boomer compact tractors are designed with drivetrain components that provide maximum PTO horsepower while minimizing engine power loss. 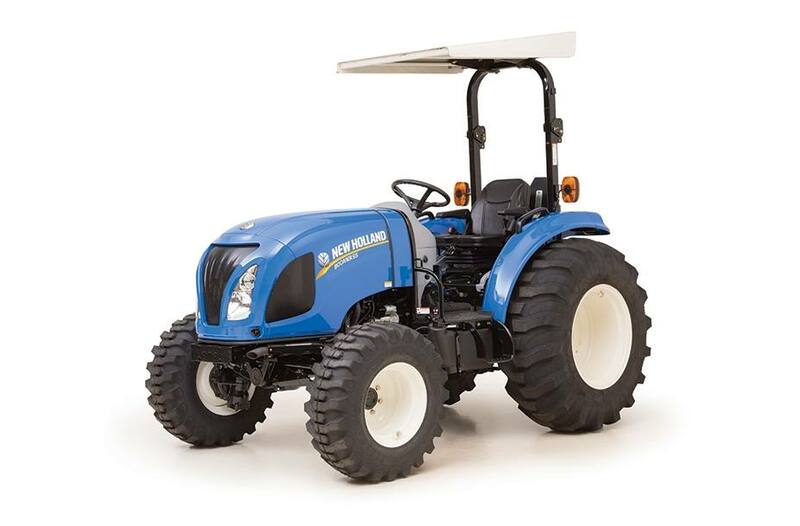 Well-Equipped For Inclement Weather: To ensure fast starts in cold weather, Boomer compact tractors come equipped with a quick-heating glow plug and a heavy-duty 660 CCA battery that provides plenty of cranking power. Made To Accommodate More: Superior battery charging and the capability to handle the higher demand of additional electrical accessories is provided by a 70-amp alternator. Freedom of Choice Comes Standard: Everybody’s needs are unique. That’s why Boomer™ compact tractors are available with two transmission options: a Hydrostatic Transmission, or a Syncronized Shuttle Shift Gear Transmission (Boomer 35/40 = 12x12 / Boomer 45/50/55 = 16x16). Option 1: Hydrostatic Transmission (HST): For smooth and easy operation, a Hydrostatic Transmission is your best choice. It allows you to adjust your speed—and change from forward to reverse—using two foot pedals; one to move forward and one to move backwards. There's no need to engage a clutch or adjust shift levers. This transmission is simple to use even for the novice operator. Option 2: Synchronized Shuttle Shift (Sss): If you perform tasks that require shifting between forward and reverse repeatedly, and you prefer a traditional transmission, the SSS transmission can make it easier. The Boomer 35/40 utilize 12x12 SSS transmissions, while the larger Boomer 45/50/55 use 16x16 SSS transmissions. The shuttle lever (mounted on the left of the steering column) and the gears are synchronized, so there’s no need to come to a complete stop before shuttling or changing gears. Cruise Through Tedious Tasks: Give your right foot a rest. Select and maintain a constant working speed with the standard cruise control (offered on HST models). It really comes in handy for mowing larger properties and transporting your tractor from one location to another. 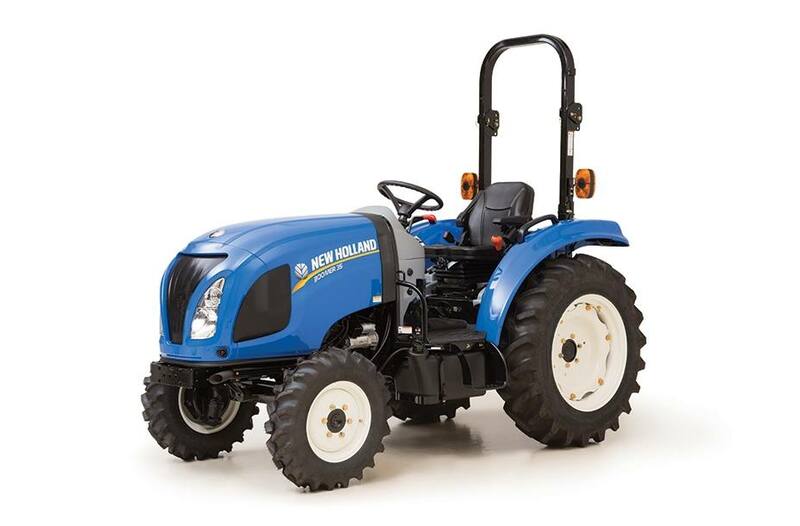 All The Hydraulic Power You Need: Whether you need to load mulch, mow the lawn, clear a pasture, dig a trench, till a garden, remove snow or install a fence, Boomer™ compact tractors are up to the challenge. 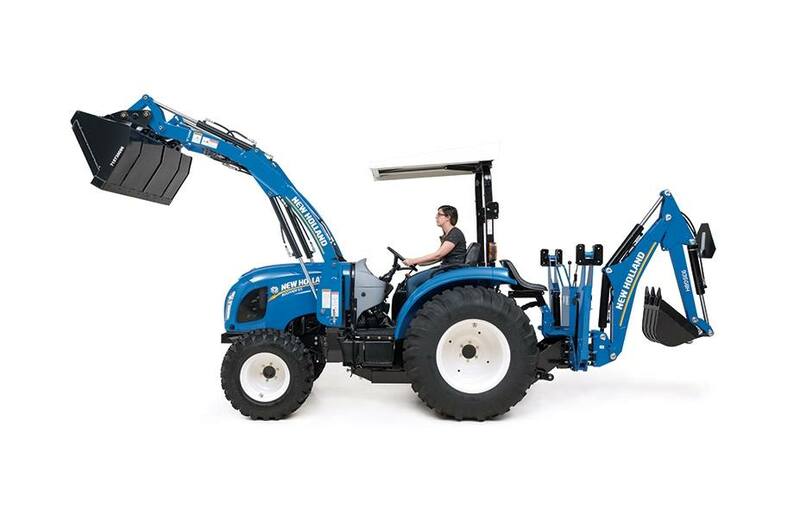 Better yet, with a three-point hitch lift capacity of up to 2756 pounds, you can do all of the above with larger, more efficient implements. When it comes to productivity, you are getting the best for the money. 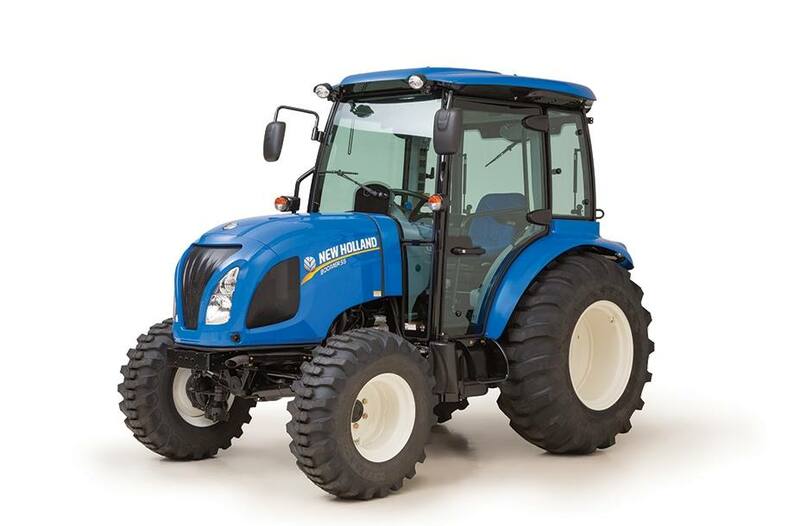 Ample Power To Go Around: A dedicated steering pump ensures responsive true Hydrostatic Power Steering. A separate implement pump with 8.2-gpm flow powers implements. This way, one system won’t tax the other during demanding conditions. Consistency Made Convenient: For consistent results when plowing or grading, an adjustable stop on the hydraulic position control lever allows you to return the three-point hitch to a preset position. The Definition of Operating Ease: Boomer™ operating platform gives you a direct, open path to the seat with no stripping or squeezing between controls. Controls and pedals are perfectly positioned for easy access, but where they’re not in the way. 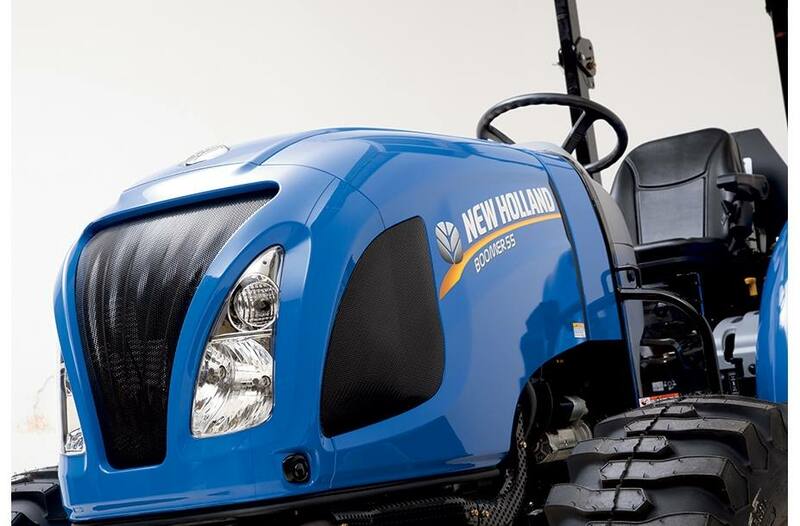 Forward Visibility Comes First: The Boomer™ sloped hood gives you excellent forward visibility from the tractor seat. That’s because we put the muffler under the hood, and not in your line of sight like on competitive tractors. You also get a great view at any hour. Standard lights illuminate your work area to both front and side to make you more productive and safe when operating in the early or late hours of the day. Clearly Marked, Intuitively Placed Controls: You can be confident of your every move because all controls are logically placed and cleary marked. 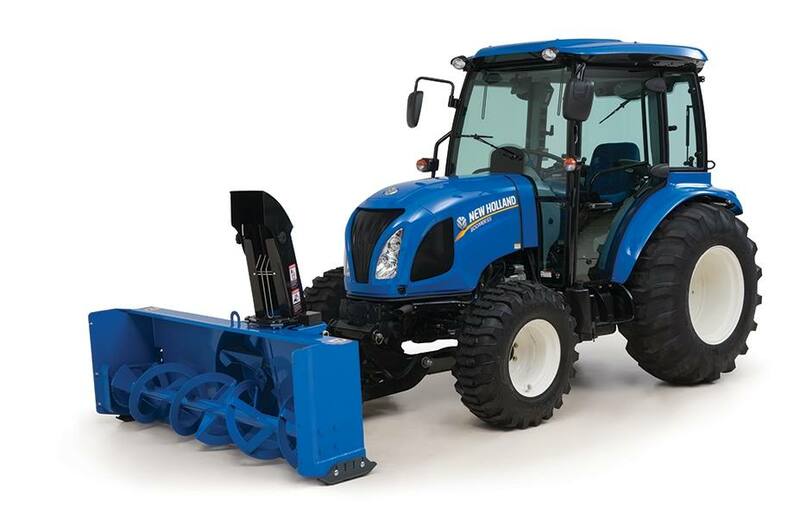 Throughout the tractor, levers, buttons and handles are where you’d expect them to be for easier access, contoured fenders to your right and left house the transmission, PTO and three-point hitch controls. Throughout the tractor, levers, buttons and handles are where you’d expect them to be. Automotive-Style Dashboard: The easy-to-read dashboard instrumentation includes fuel gauge, temperature gauge, tachometer, PTO speed indicator, hour meter, cold starting aid indicator and warning lights for engine oil pressure and battery charge. Additional Features: • The steering wheel tilts for maximum comfort. 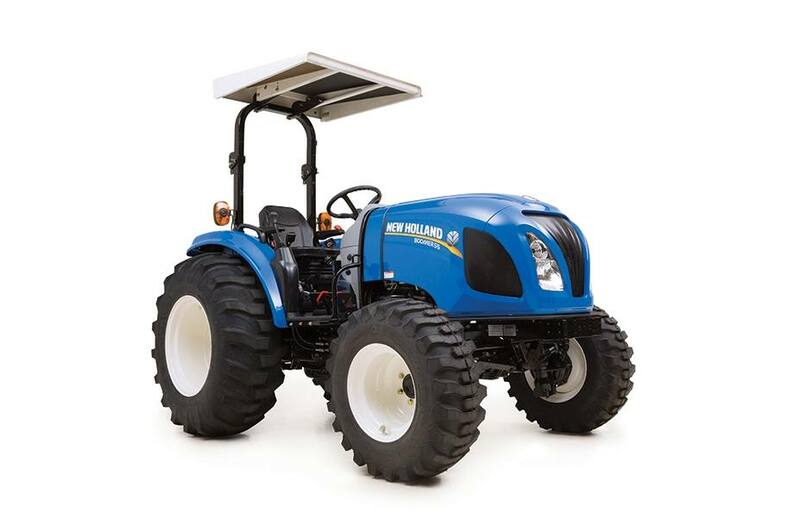 • Safety-start system includes an operator-presence switch that shuts the tractor off if you leave the seat when certain criteria are met. • The suspension seat is adjustable for weight and position to accommodate any sized operator • Sound dampening rubber floor mat is standard on all models • Cup holder and tray are conveniently positioned for the operator use • Foldable ROPS are standard on every model to make storage more accessible. All-Weather Comfort In Any Season: For supreme comfort and protection from the elements, opt for a Boomer model equipped with a factory-installed cab. It’s available on Boomer 40/45/50/55. Complete Climate Control: The climate control system provides heat to keep you warm in the winter and air conditioning to cool you in the summer. Side and rear windows open for natural ventilation in mild weather. A Superior Vantage Point: You don’t sacrifice visibility when you choose the comfort of the factory cab. Extensive glass surrounds you and extends from floor to ceiling at the front and through the two doors at the side to provide excellent visibility. A front wiper and washer, a front window sun screen, and front and rear work lights are standard equipment. A rear window wiper/washer is optional, as are rear cab-roof-mounted work lights and a safety beacon. 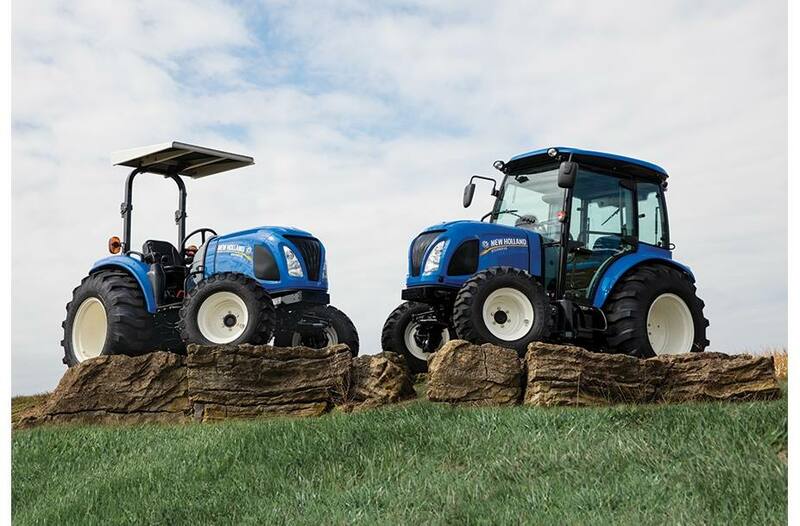 Maintenance Meets Convenience: Maintaining a Boomer™ compact tractor is simple because all routine maintenance points are located in easy-to-reach spots. Plus, you can check engine oil level conveniently without raising the hood and without removing the loader. 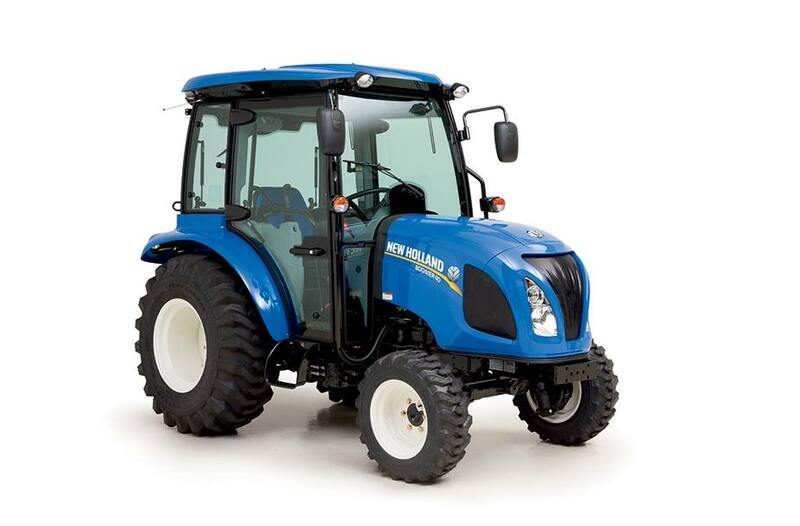 Access Doesn't Get Any Easier: This is the best compact tractor when it comes to easy service access. For simple access to the engine, radiator, air cleaner, power steering reservoir and battery, the hood raises and pivots forward. Even when a loader or front blade is attached. There are no side shields to be removed, lost or damaged. Fill Up Less Often: You can operate for longer periods in between fill-ups thanks to large-capacity fuel tanks, which also have wide fill necks for easy refueling. The convenient fill location is behind the operator, where spills cannot harm the paint finish on the hood, like with competitive models. Quick and Easy Fluid Level Checks: A dipstick located at the rear of the tractor allows you to check transmission, rear axle, and hydraulic system fluid levels. A large fill port is also provided here. Filters Provide All-Around Protection: • Dual-element air filter protects the engine in dusty conditions. • Single-element fuel filter protects the engine's fuel injection system from rust, dirt and water. • A full-flow, spin-on oil filter provides protection to the engine lubricating system. Exceptional Maneuverability: No matter what the task, you’ll appreciate having one of the tightest turnaround diameters in the industry. Our FWD axle comes standard on all models and lets you maneuver effortlessly around obstacles and make extra-tight turns when mowing or grading, or while making a headland turn with a disc harrow. 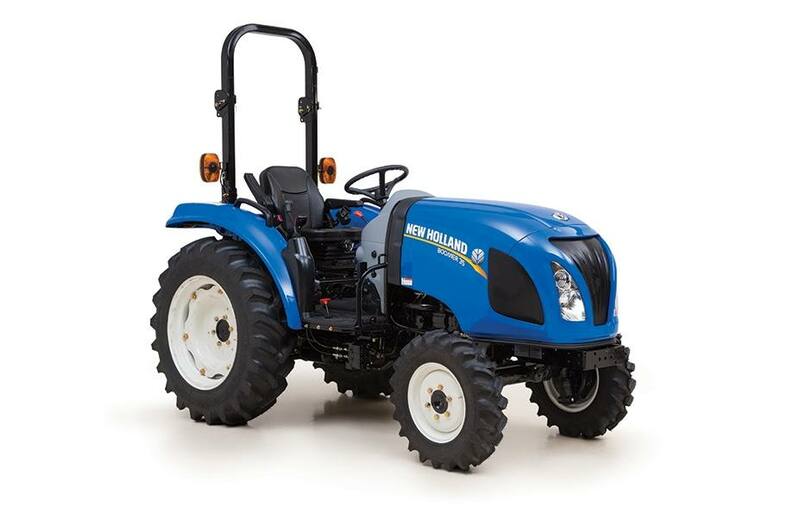 Plenty of Strength: Boomer 4x4 compact tractors feature a FWD axle that is designed for your heaviest jobs. With plenty of cast iron and steering cylinders positioned up and out of the way, Boomers are ready for your toughest tasks in the roughest conditions. Extra Traction On Demand: It’s reassuring to have extra traction when you need it. Simply engage the FWD lever to instantly employ the front wheels for additional traction in slippery conditions.